The Texas town of West is known as a Czech cultural hub across the state. It’s a town famous for its local bakeries, which serve up scores of kolaches every day. 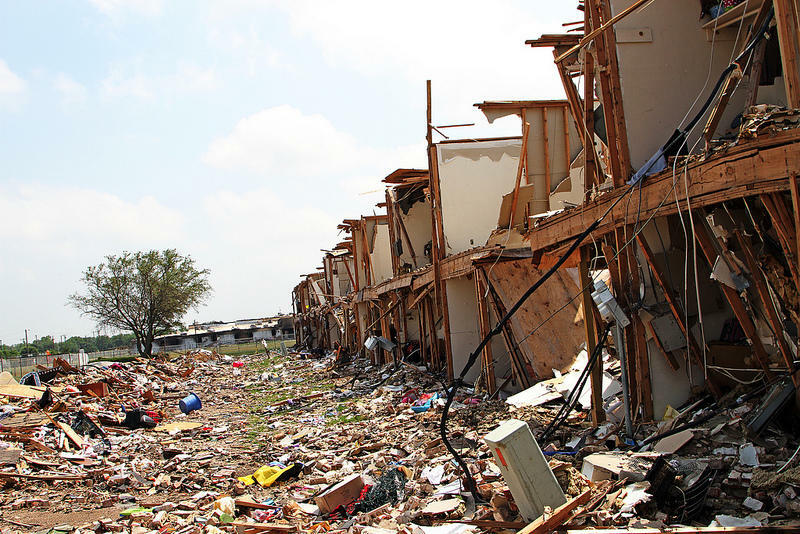 But six years ago the tiny town, about 20 miles north of Waco just off Interstate 35, was thrust into the national spotlight when a local fertilizer plant exploded and killed 15 people. The blast damaged schools, homes and other property, and many wondered if West could ever recover. Then, in May 2016 the Bureau of Alcohol, Tobacco, Firearms and Explosives ruled the explosion as arson. Though no one has been charged with the crime, the ruling was salt in the wound for many residents. 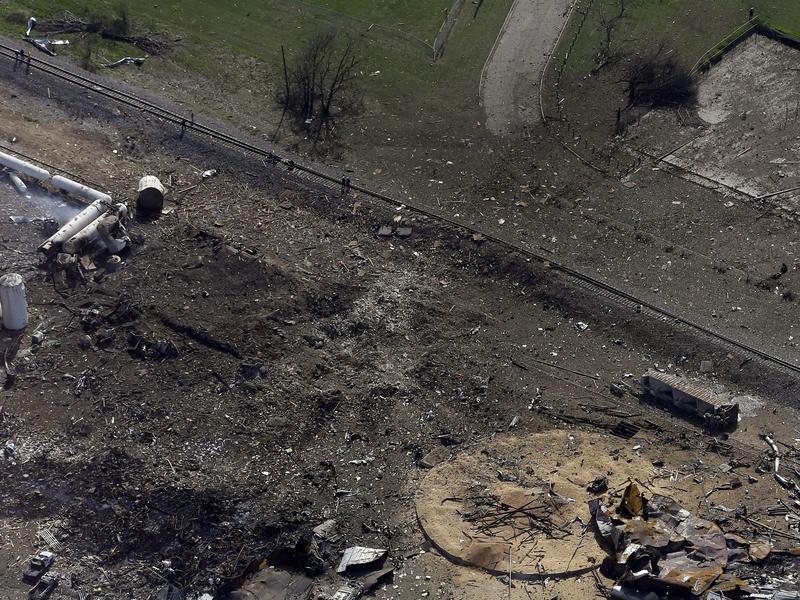 After an explosion at a fertilizer plant killed 15 people in West, Texas, in 2013, the EPA created new safety protections for the storage of dangerous chemicals. Now, at the urging of the industry, EPA Administrator Scott Pruitt is delaying those rules until 2019. 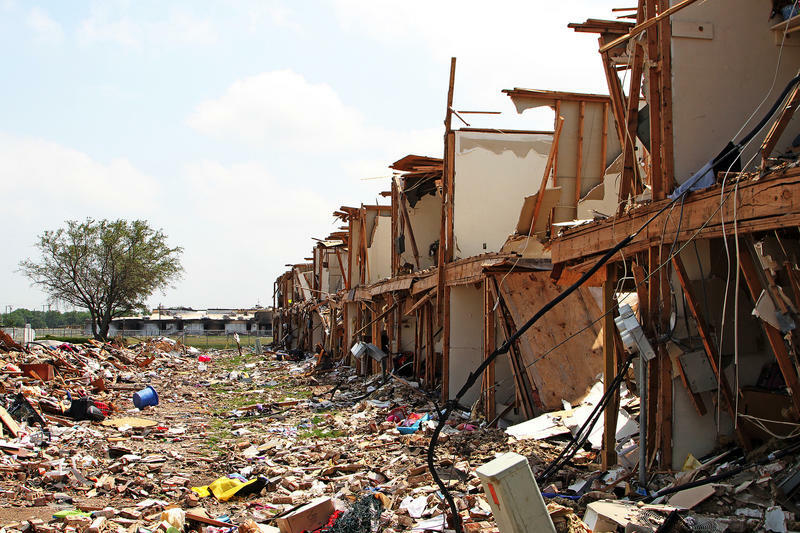 Intent on rolling back Obama-era regulations, Republican lawmakers in Washington have placed an EPA rule enacted in the wake of the fertilizer explosion plant in West, Texas, on the chopping block. 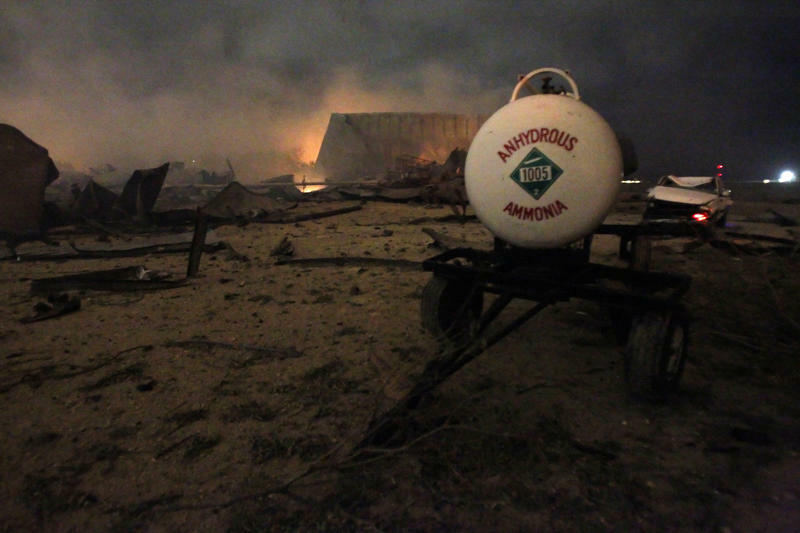 The fire that caused a massive explosion at a Texas fertilizer plant in 2013 was a criminal act, federal and state authorities announced Wednesday. Fifteen people — 12 of whom were firefighters and first responders — were killed in the blast at the West Fertilizer Plant in West, Texas. An intentionally set fire caused the 2013 explosion at a Texas fertilizer plant that killed 15 people, federal officials said Wednesday, saying the fire was "a criminal act." Five stories that have North Texas talking: Ammonium nitrate still resides near schools and homes across Texas, despite progress made after 2013 explosion; a North Texas man’s invention could protect your vehicle from the next hailstorm; the Greater Denton Arts Council will issue more than a dozen grants to local artists; and more. 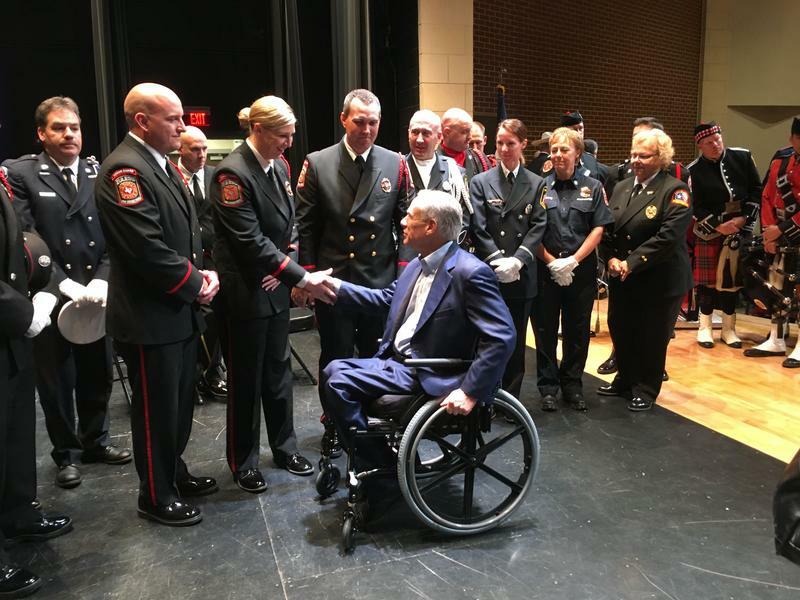 The first proposal to tighten chemical storage regulations in the two years since the West fertilizer plant explosion that killed 15 people has passed the Legislature's lower chamber. West, the Central Texas town devastated by last year's fertilizer plant explosion that killed 15 people, will be getting two new schools. Don’t let the recent rains fool you. We’re still in drought and commentator David Marquis says there’s no reason to get comfortable. The firefighters who tried in vain to stop the burning West fertilizer plant from exploding weren't prepared for the dangers of the blaze, which was too big for them to fight, state investigators said in a new report. 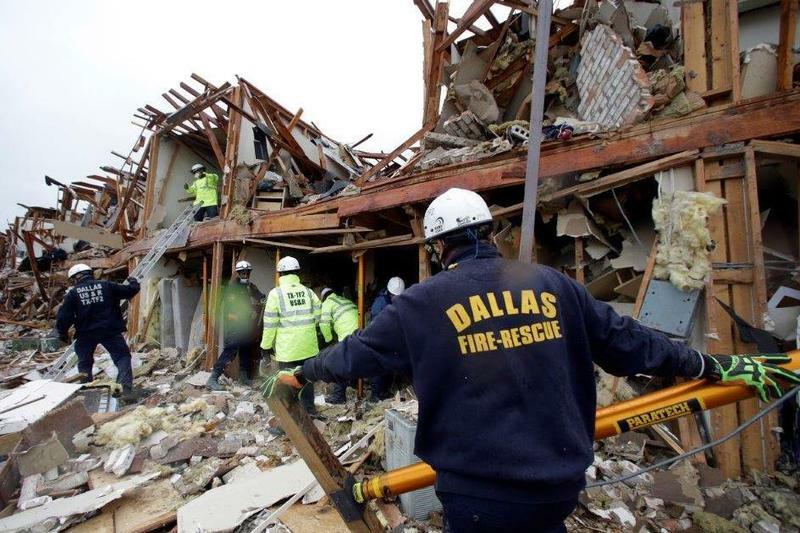 Officials from the Texas State Fire Marshal's Office plans to present the findings of its investigation into the deaths of first-responders in last year's explosion of a fertilizer plant. A year after a deadly explosion at a fertilizer plant in Texas, a federal agency is releasing a report saying the disaster was preventable. The Chemical Safety Board, which investigates chemical accidents and issues recommendations to ensure public safety, is presenting its preliminary findings tonight in the town of West, Texas, where the fire and subsequent explosion last year took 15 lives, injured hundreds, and destroyed homes and schools. Update, Thursday afternoon: A year after a deadly explosion, West is rebuilding. The small central Texas town paid tribute Thursday night to 15 people killed a year ago when a fertilizer plant exploded in a ball of fire. The blast injured hundreds of people, destroyed homes and schools and left a nearly 100 foot-wide crater. D Magazine’s Zac Crain is Facebook friends with practically half the town of West. He grew up just 500 yards from the fertilizer plant that exploded a year ago. He talked with KERA about life after the explosion. “It worried me that it was a town that could die out," he said. Crain reflected on the town the morning after the explosion. (Here's an expanded version.) Crain also profiled the town for D in July. WBUR's "Here and Now" aired this story today. See more here. WEST, TX - Trucks and bulldozers are still working here, the site of an explosion a year ago today. A deadly blast tore through this small community, killing fifteen and injuring hundreds. Homes and schools were destroyed, with the damage estimated to be over a hundred million dollars. There's a lone charred tree that still stands at the location of the blast, but other than that, the site is mostly empty. Crosses and memorials that read "West Strong" and "West is the Best" line the road. The explosion at the West fertilizer plant was one of the worst industrial disasters in Texas history. So what's Texas doing to prevent it from happening again? "Well, technically, nothing has been done," says state Rep. Joe Pickett (D-El Paso), chair of the House Homeland Security and Public Safety Committee. Pickett says since West happened near the end of the legislative session, he didn't want to rush in any "knee-jerk" rules or regulations. 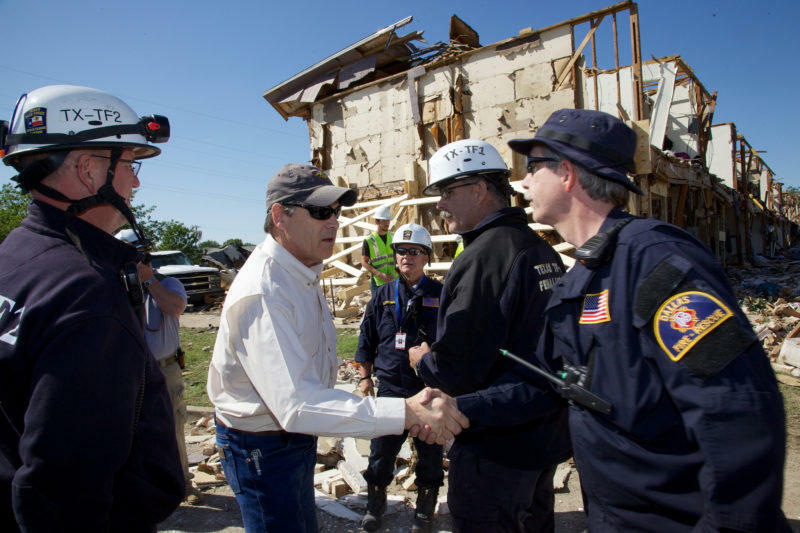 Thursday marks the one-year anniversary of the day when West, Texas, changed forever. A massive explosion at a fertilizer plant rocked the small town in McLennan County, killing 15 people, including 12 volunteer firefighters, and injuring more than 200. A memorial service, called West 4-17 Forever Forward, takes place at 7:30 p.m. at the West Fair and Rodeo Grounds. A moment of silence will be observed at 7:51 p.m., marking the time of the explosion. When firetrucks blew through the small town of West, Texas, on the evening of April 17, 2013, sirens screaming, naturally everybody was curious. People got in their cars and went to see the fire at the West fertilizer plant. For 10 minutes, they watched from cars and backyards as the fire grew ever bigger. A few moved as close as they could because they were filming on their smartphones. At no time did it occur to anybody that they might be in danger. This week's anniversary of the West fertilizer plant explosion that killed 15 people brought Texas lawmakers back to the Capitol in Austin to consider tougher oversight of chemical facilities. 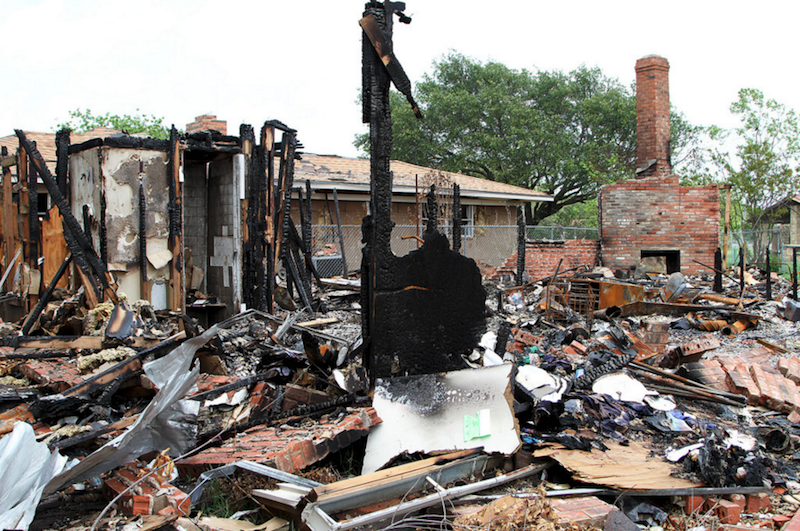 Investigators told a Texas House committee Monday that they're still not sure what sparked the fire. Five stories that have North Texas talking: JCPenney generates a lot of buzz for its buzzed Tweets last night; Texans are heading to Colorado for marijuana; the West fertilizer blast will get more scrutiny; and more. The government shutdown has halted the federal investigation into the West Fertilizer Plant explosion. The explosion in April killed 15 people and injured hundreds of others. “Some of the brightest scientists in the world are home today rather than doing their work to protect, and give us information so that we can have the right rules and regulations to protect our environment,” Sen. Ben Cardin, D-MD, said during a press conference yesterday. “The monitoring and enforcement is not being done as it should be done.” Cardin chairs the Senate Subcommittee on Water and Wildlife. The ranks of furloughed workers includes most employees on the Chemical Safety Board, which investigates industrial accidents such as the West Fertilizer Plant explosion. State fire officials say they have not ruled out a criminal act as the cause of the April explosion at the West Fertilizer Company that killed 15 people. Investigators are looking a three possible causes: a golf cart battery, the plant's electrical system, and a criminal act. For the first time in close to three months, residents in West can safely drink city water straight from the tap. A boil order had been in effect since the April 17 explosion at the West Fertilizer Company that killed 15 and injured 200. The federal agency says in a letter that the impact of the fertilizer plant explosion “is not of the severity and magnitude that warrants a major disaster declaration.” FEMA has provided emergency funds to individual residents of the town.